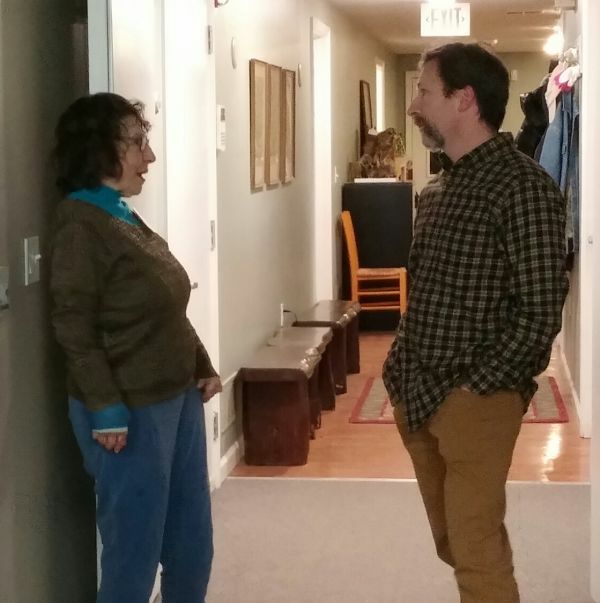 On Thursday, March 8, 7:30 pm. 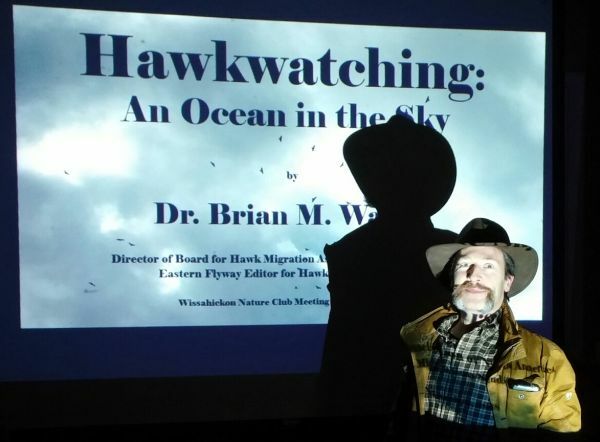 Brian M. Wargo presented Hawkwatching, an Ocean in the Sky. 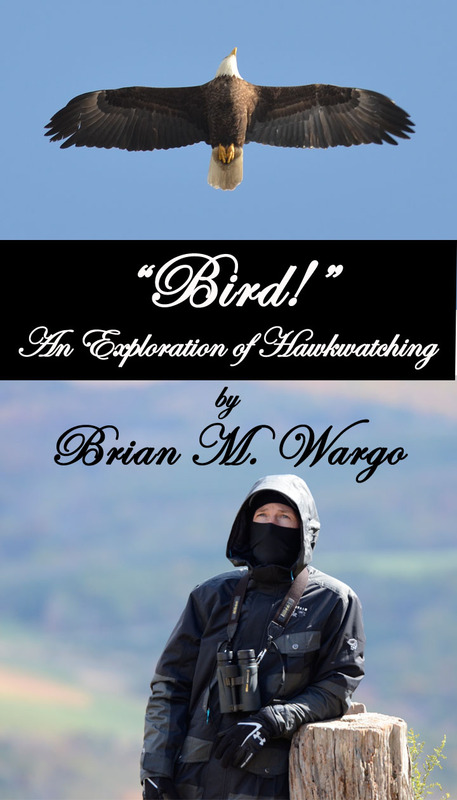 Dr. Brian M. Wargo showcased the esoteric and often unknown activity of Hawkwatching using pictures and stories, which he has documented in his book, Bird: An Exploration of Hawkwatching. 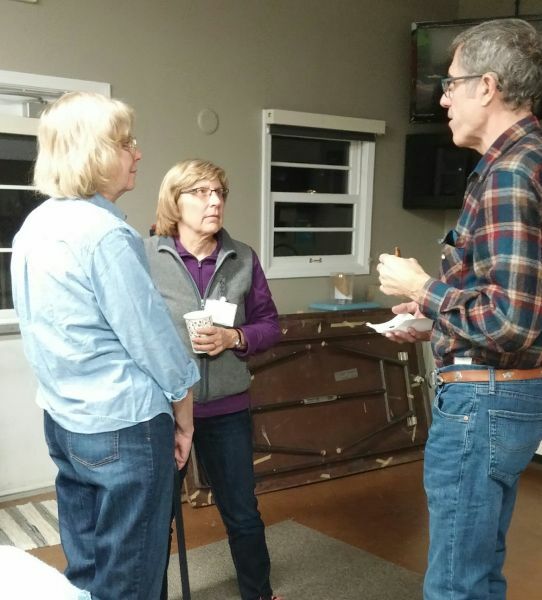 The audience was quizzed on naming photos of hawks in flight, from different angles. Brian pointed out characteristics that help in IDing hawks. He showed examples of his record keeping and spreadsheets for 80 different hawk watch sites. He hopes to encourage the next generation to volunteer at hawk watches since this gathered info is so valuable. He said he chose the photo for the cover of his book because he is always cold and this is how he is usually dressed for hawkwatching! Brian is the President and Saturday Counter for the Allegheny Front Hawk Watch. You can view his latest count data at: www.hawkcount.org. The following club outings have been scheduled. More info below as date approaches.